Get actionable cannabis tips, product reviews, and guides that we only share with our newsletter subscribers. New Patient GuidesIf you are new to medical marijuana then start here! Medical ConditionsDiscover how cannabis is used to treat illnesses, ailments and afflictions while understanding the science behind it. Intermediate GuidesDelve deeper into the world of cannabis with these specialized guides. Health & WellnessFind out you can incorporate cannabis into your diet, fitness routine, and whole body wellness. Expert GuidesRead about new discoveries and tips for the cannabis connoisseur. Marijuana LawsNavigate the ever-changing cannabis regulations and learn where the laws are heading. Blog > Cannabis Education > Can Harnessing Cannabis’ Energy Fuel the World, and Save It? Can Harnessing Cannabis’ Energy Fuel the World, and Save It? We’ve known cannabis has a multitude of uses for decades. While many center around healing and curing medical conditions like cancer, chronic pain and mental health, that’s only the tip of the iceberg. It may be hard to believe that a plant rapped about by every MC ever could power your lights, but—hold on to your bong—it’s true! Many people don’t know that cannabis can be used as fuel. 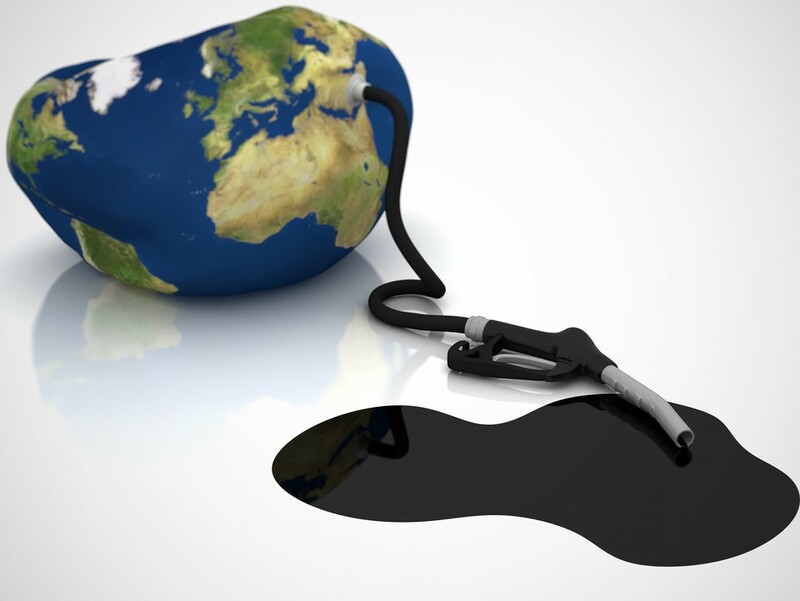 In 2004, the United States used nearly 20.5 million barrels of oil a day, accounting for approximately 25% of the world’s total oil use. As a result, using this and other fossil fuels has emitted over 7 billion tons of carbon into our environment—and that was thirteen years ago. Carbon dioxide is the main reason for the greenhouse effect, which occurs when Earth gases absorb heat that would ordinarily radiate out into space. Fossil fuels release carbon dioxide, one of the gases that retain heat, causing above average temperatures and now global warming. If their use persists, the physical, ecological, and social impacts could be irreversible. The danger that fossil fuels pose to our Earth’s future is clear, but what isn’t clear is the solution. Some suggest more wind, solar, and hydroelectric power. Others who think outside of the box and inside the grinder suggest cannabis. Because cannabis can be cultivated, it, unlike fossil fuels, won’t run out anytime soon; plus it’s one of the most reliable options to meet our energy needs. Not only could it produce the energy needed to survive, it’s also a clean, cheap and renewable power source. Cannabis’ biomass, the amount of material a plant can convert into fuel, is about 146 billion tons a year. This is a huge development as up to 90% of the energy that comes from fossil fuels could be replaced with biomass from cannabis. Pyrolysis, the process (pictured above) used to convert cannabis’ organic plant material into fuel, chemically decomposes organic materials using high temperatures without oxygen. 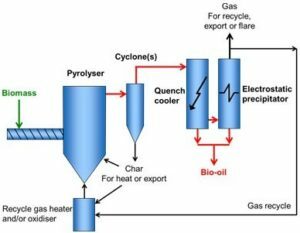 It handles the production of gasses, methanol, charcoal and other fossil fuels. What’s even more promising is that the biomass converted into fuel doesn’t produce any dangerous byproducts and pollution is non-existent. Without the toxins created by carbon fossil fuels emitted into the atmosphere, it’s believed that the greenhouse effect could be significantly reversed and help fight global warming. The use of other pollution-causing fossil fuels such as crude oil, natural gas and coal could also be eliminated by switching to cannabis energy. Dangerous side effects like acid rain, smog (we’re looking at you, L.A.) and ozone deterioration could begin to stop. Not only will it clean our atmosphere and stifle pollution, but it’ll also lend a helping hand to the legalization of medical cannabis for patients who need it. 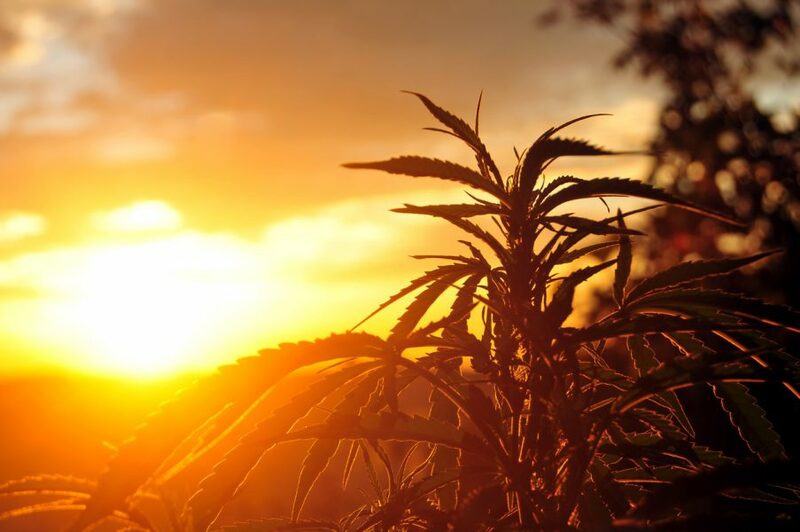 With global warming, a (debatable) foregone conclusion, fuel produced from cannabis biomass could become the future energy that solves all our needs while saving the planet in the process. If its current stigma can be removed by bettering the environment, maybe cannabis can finally be deemed useful to improve several other issues, and lives, as well.